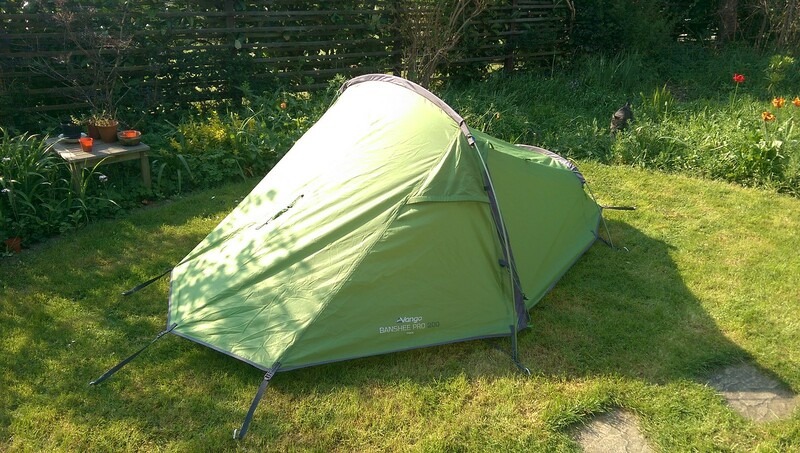 I have to say my tent has done very well over the last 10 years, especially when you consider it was only 35 quid! However, it is getting very tired and tatty, so it's time for a new one. 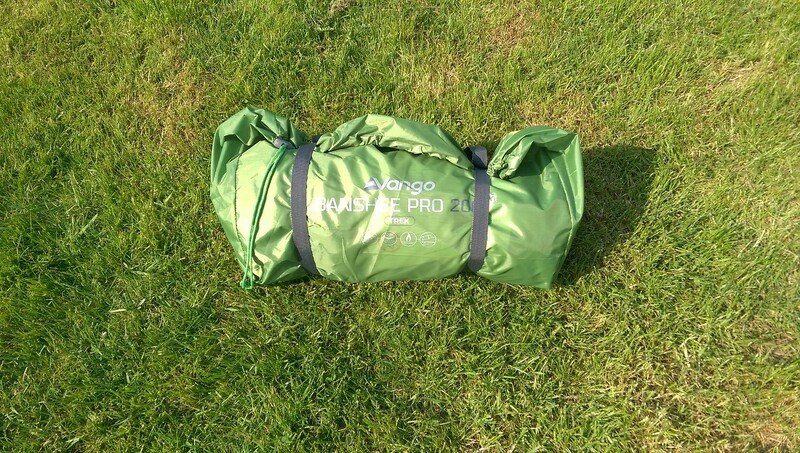 I decided to go with the Vango Banshee 200. 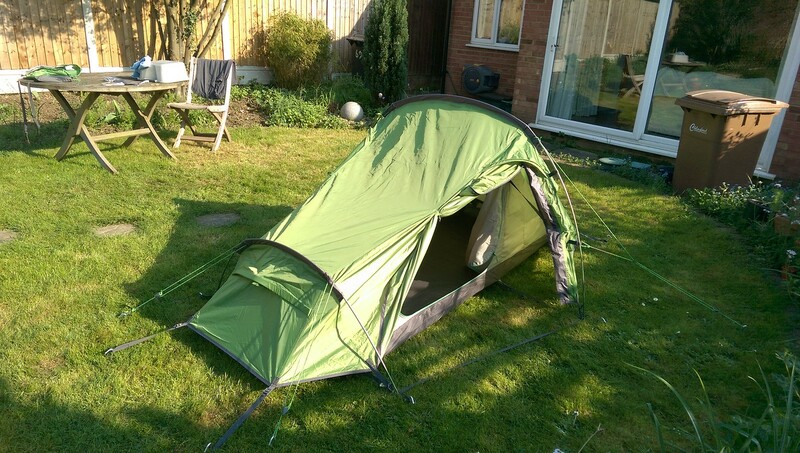 It's a popular tent and generally has good reviews. I like the look of it and particularly like the side entrance which should make getting in and out of it less of a hassle. 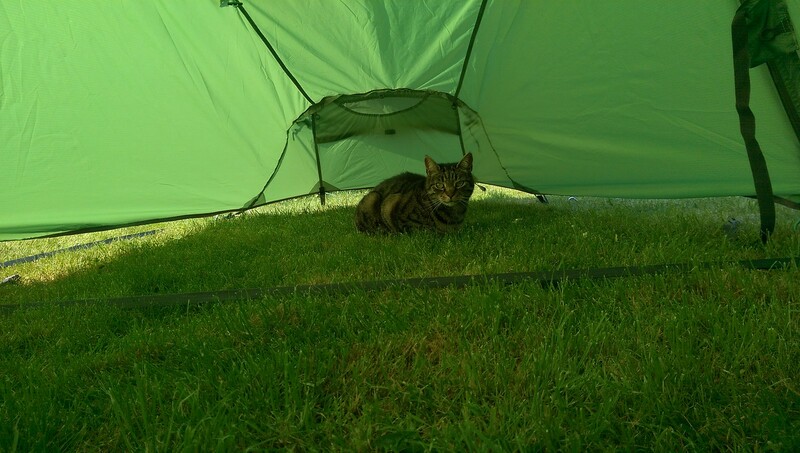 Not that a front opening tent is much hassle anyway, but every little helps. 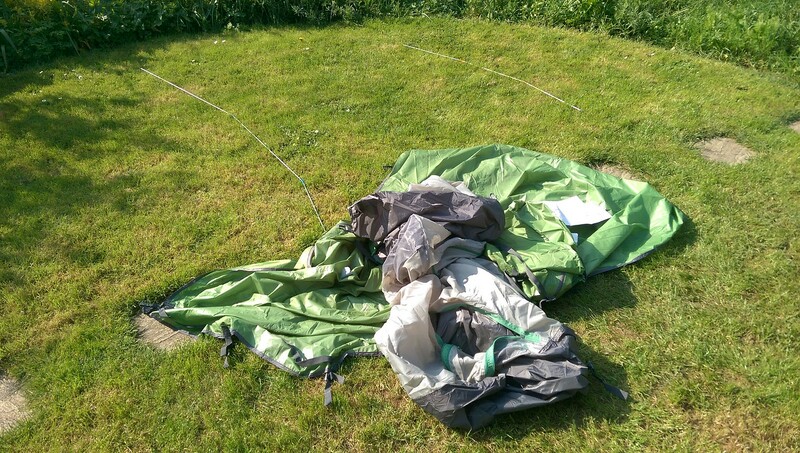 I also got a groundsheet footprint for it and a few spare pegs. I bent loads last time in the hard ground of southern France. Next on my shopping list was a new sleeping bag. 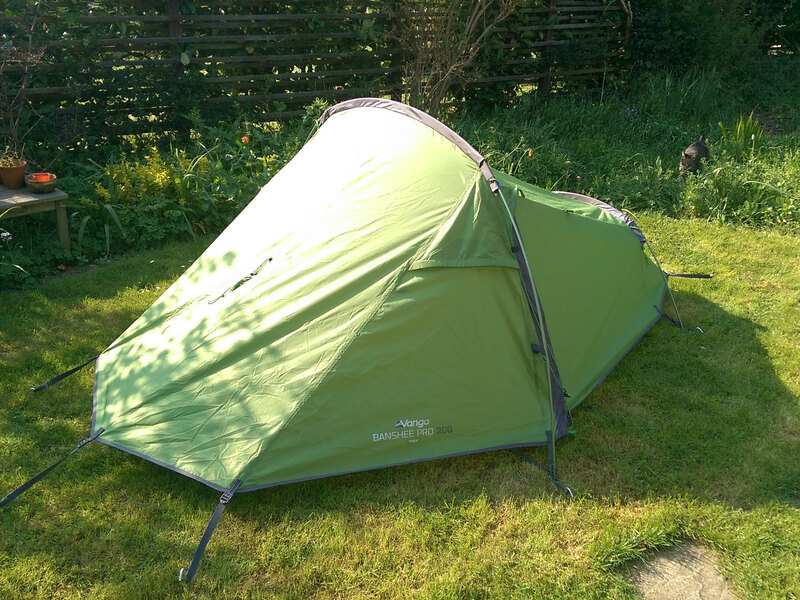 Nothing fancy, just a Eurohike 2 season jobby that was half price in whatever the local camping shop is called this week (I swear it changes name every time I go there!). I've got a liner too which I can use either on its own if it's really warm or with the new sleeping bag if it's a bit chilly. My last sleeping bag was nothing special and was fine for 18 years, so I'm confident my new set up will be up to the job. Last time I relied on dynamo power to keep my phone and other stuff charged, but it will only ever charge very slowly, so I decided to carry a bunch of electricity with me. I've bought I couple of 20.1 Ah cache batteries and a smaller 6 Ah one. I've also got a couple of others which are getting a bit old so probably won't bother taking. I'll use the dynamo for powering my GPS and maybe light charging duties for other stuff, but most of it will be done of an evening with the power banks. When a mains supply presents itself, I'll charge them up. They have Quickcharge 3.0 inputs so will go from empty to full in about four and a half hours. I've got various other new bits and pieces to take with me, but nothing particularly exciting. I'm sure I'll pick up a few last minute additions before I head off.